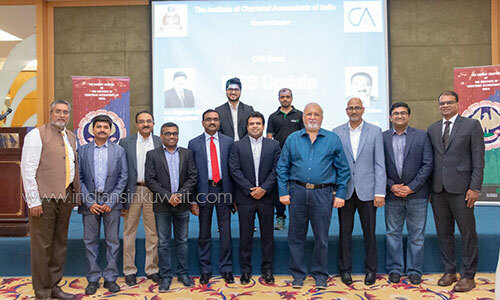 The Institute of Chartered Accountants of India (ICAI) Kuwait chapter conducted an IFRS (International Financial Reporting Standards) update seminar for the benefit of its members. 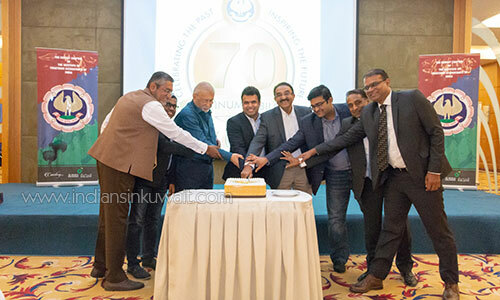 The event was well attended by both members and guests. The proceedings for the evening began with Mr. Noel Cherian, the Chairman of Kuwait Chapter giving his welcome address, this be the first continuing professional seminar for the year 2018-19. The Vice Chairman Mr. Sai Devata introduced the speakers. 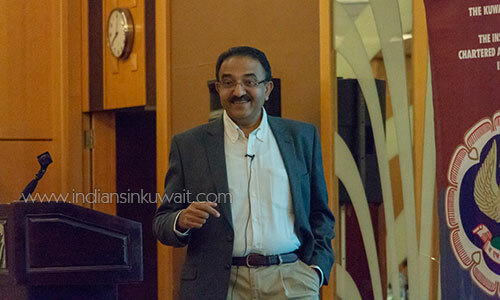 The speakers for the evening were Mr. Meghdoot Jajoo who is a Chartered Accountant and specialized IFRS consultant. 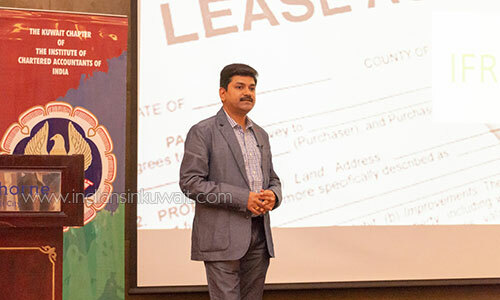 He spoke on IFRS 15 – Revenue from contracts with customers and IFRS 16- Leases. It was a very interactive session and evoked keen interest from the audience. The second speaker for the evening was Mr. M.S Mathew who is a well-respected Senior Audit Partner with Deloitte, Kuwait. His session was on IFRS 9. His simplified and concise presentation was well received by the audience who listened with rapt attention. This was followed by the vote of thanks by the Secretary Mr. Kaizar Shakir and dinner. The event was sponsored by KIB along with the annual sponsors Al Mulla Exchange and Focus Net.